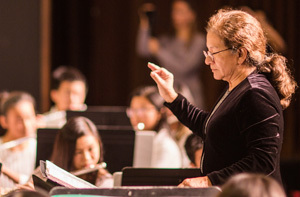 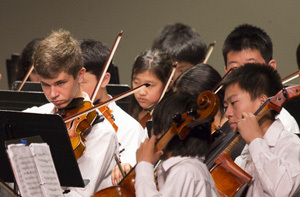 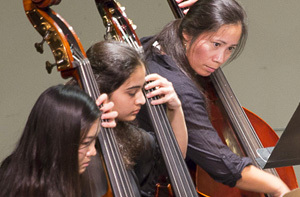 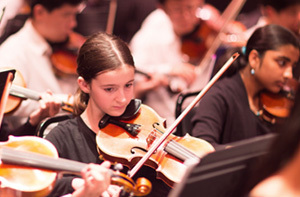 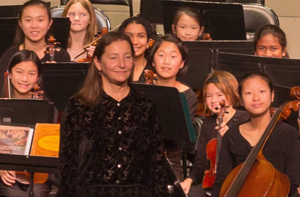 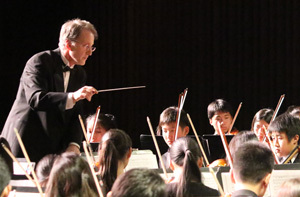 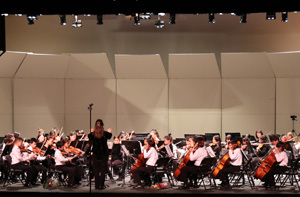 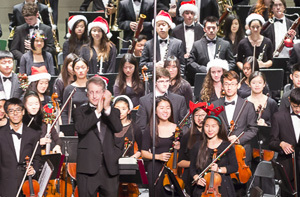 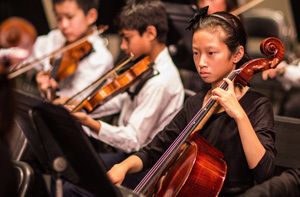 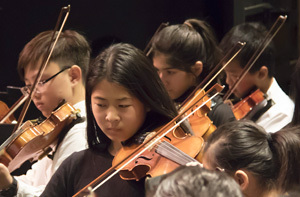 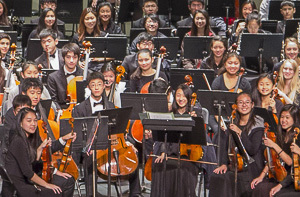 Early in 1952 Aaron Sten, founder of the Peninsula Symphony Orchestra, had the inspiration to create a symphony orchestra composed entirely of school-age musicians. 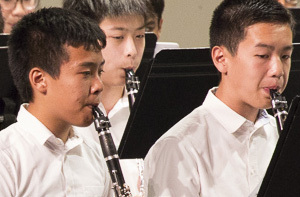 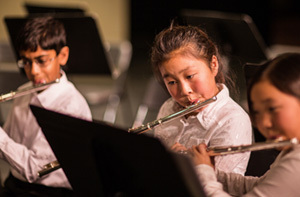 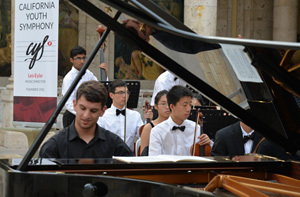 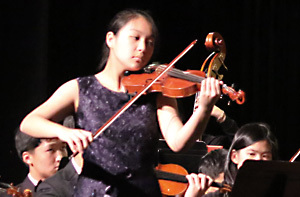 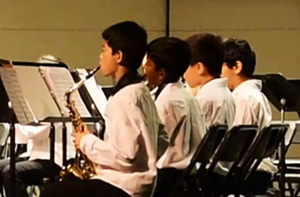 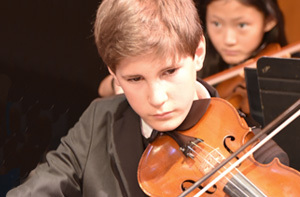 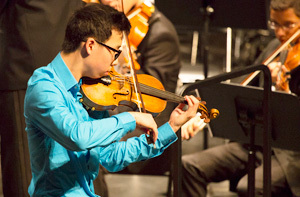 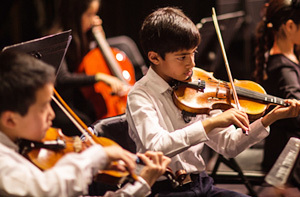 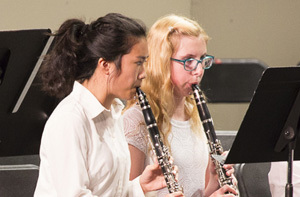 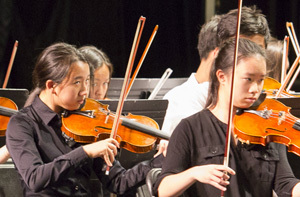 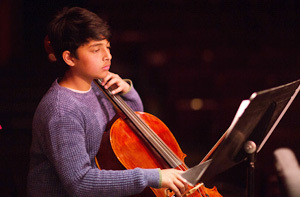 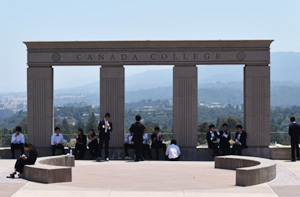 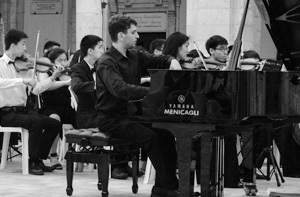 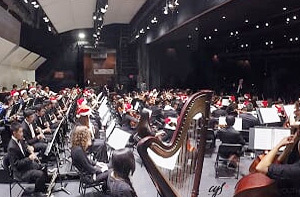 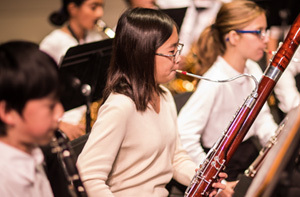 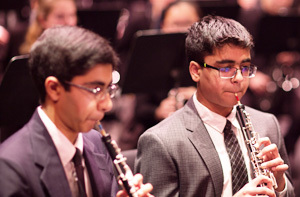 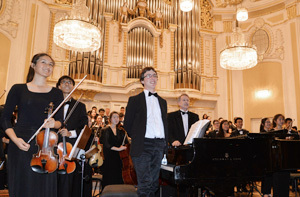 After consulting with parents, music teachers and young musicians, the inspiration became a reality. 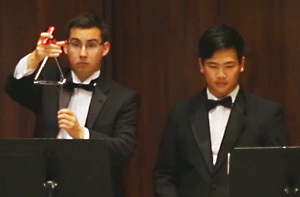 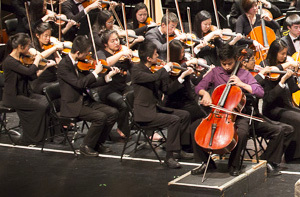 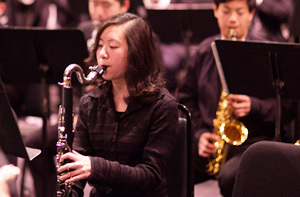 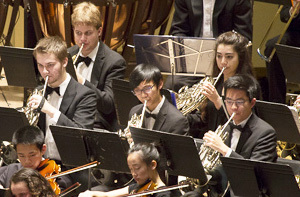 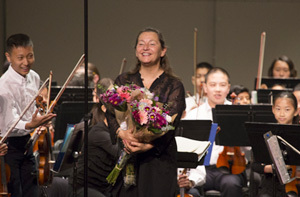 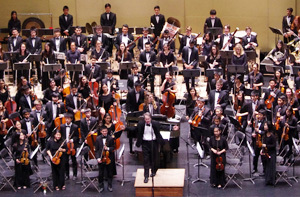 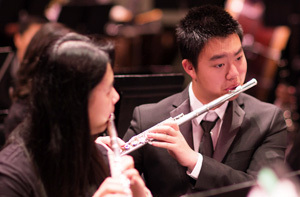 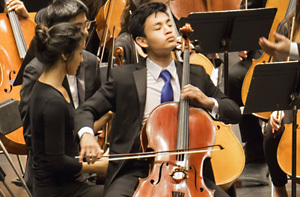 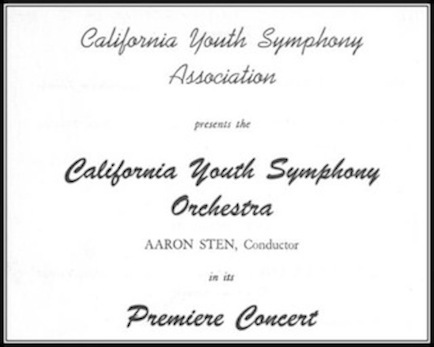 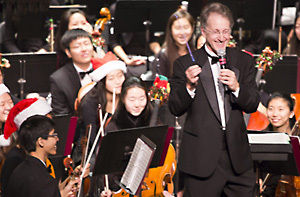 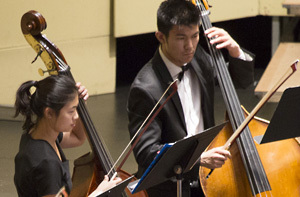 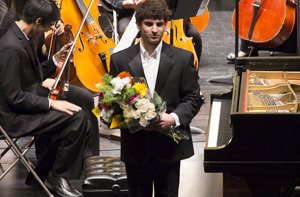 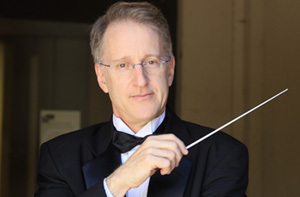 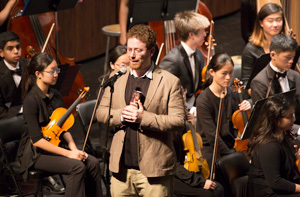 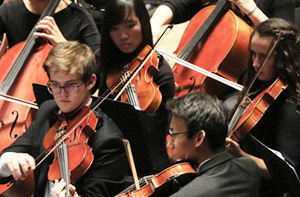 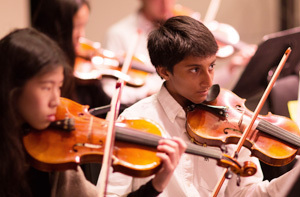 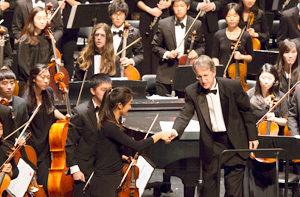 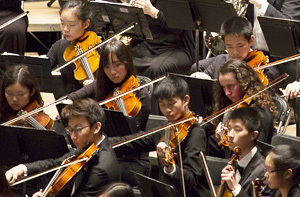 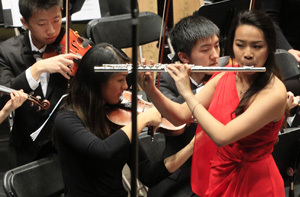 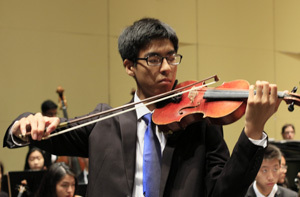 On March 3, 1952 the California Youth Symphony was founded, with Aaron Sten as conductor. 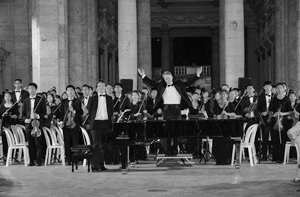 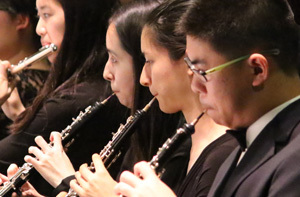 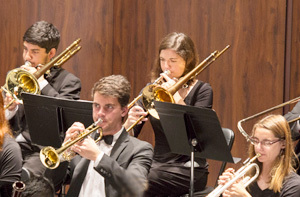 Twenty-two players attended the first rehearsal, but the orchestra grew quickly and by the fall of 1952 the orchestra presented its first full concerts for the public. 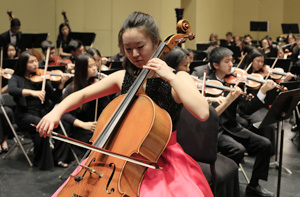 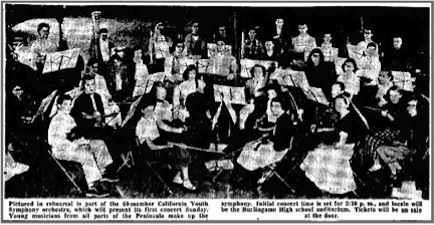 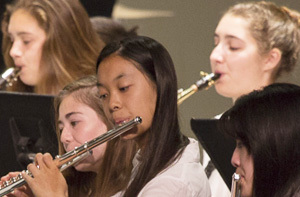 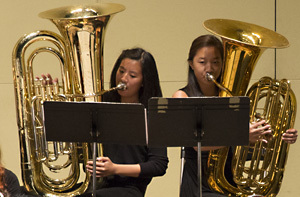 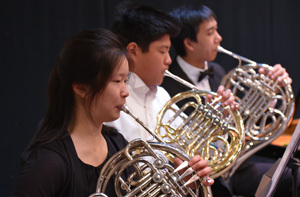 The first meeting of the Board of Directors of the California Youth Symphony Association was held at the Burlingame Recreation Center on March 3, 1952. 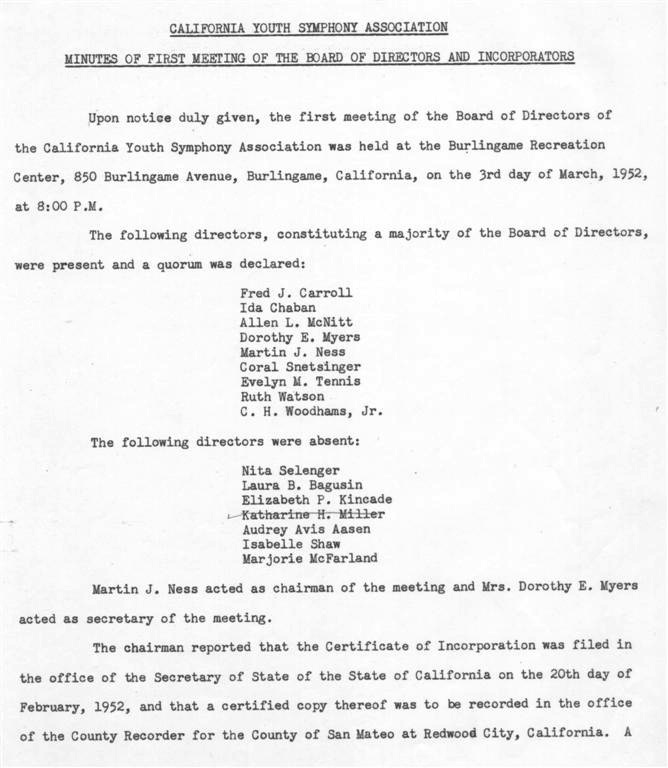 Martin J. Ness acted as chairman and Mrs. Dorothy E. Myers acted as secretary of the meeting.